Like the Color Run? What about a Tomato Run? – RLB Ink. Like the Color Run? What about a Tomato Run? 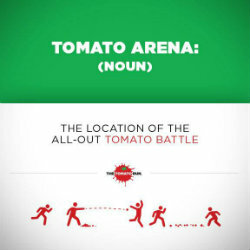 Have you ever heard of the Spanish food fight, La Tomatina? Yes, people willingly have tomatoes thrown and smashed all over themselves. 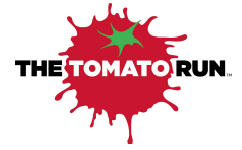 RSP Live (the same crew who puts on Run for your Lives, the zombie race) decided to bring the concept to Baltimore, and the first Tomato Run will combine a 3.1 mile run at Ripken Stadium with a tomato battle using local, inedible tomatoes. I’m serious. Watch this video. Think about middle school when people started food fights—this is essentially the adult version. 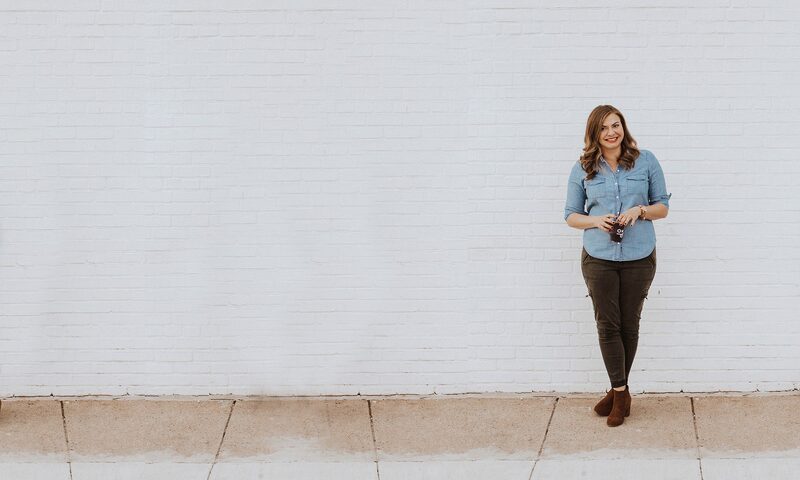 While I’m definitely not a fan of food being thrown in my direction, I do love that the tomatoes used in The Tomato Run are inedible, surplus tomatoes that are sourced by local farmers. Also, tomato remnants will be donated to Veteran Compost, a veteran-owned and operated compost facility. I won’t lie to you—these runs aren’t my style. If I’m running a race, I want to be timed and I’m going as fast as I can. Things like clouds of color and tomatoes just slow me down. BUT I totally get why people who are fully capable of separating racing and fun would enjoy this. 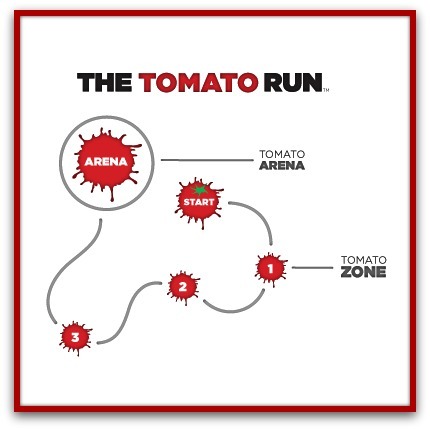 If you’re ready to take on The Tomato Run, entry is $40 for a single entry, or $35/person for a group of four. (Don’t forget that you’re supporting local farmers and veterans!) 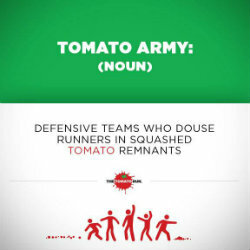 Registration includes a Tomato Run t-shirt and free entry into the tomato battle and festival. Kids Zone entry is $10 per family. For rules, registration and more information, visit www.thetomatorun.com.